OKLAHOMA CITY (AP) – Investigators are considering criminal charges after four Oklahoma City high school students were accused of assaulting a teenage boy in a locker room. A campus police report alleges three students held the boy while a fourth student assaulted him with a broom handle. 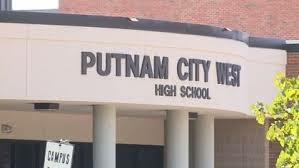 The report says the aggravated assault happened Friday in a football locker room at Putnam City West High School. School spokesman Steve Lindley says police are investigating and that a school employee has been suspended. An Associated Press investigation published in 2017 examined sexual violence among students in public schools, including in sports. It found that teammate-on-teammate sexual assaults occurred in all types of sports.